79 ACRES BROWN CO. COMBINATION HUNTING AND RANCHING!! Here is a place that is all set up and ready to go today! The land has 52 acres of great tree cover for the hunters, 15 acres of pasture and 14 acres in a field to make it have a little bit of anything. The back wooded area is covered in live oak, post oak, elms and brush. 131 +/- Acres with Fm 218 highway frontage locate in northwest Mills County. This is a great combination property with good fences, cross fenced, and ag exempt. Water is supplied by multiple sources including a nice stock pond that is spring fed according to the owner, a good water well, and Zephyr Rural Water. Great business opportunity just 3 blocks east of the square on Central Avenue. Property consists of over 6,000 sqft of buildings, large parking lot, showroom, hydraulic lift, tire machines, balancers, air compressors, tire inventory, service truck, and new AC system. Ready to go into business, just unlock the door and go to work. 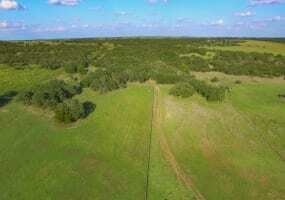 109 +/- acres Great combination ranch with elevation changes, heavy cover and Spanish Oak Grove for hunting. A grass pasture for livestock and a recently planted oat field. A nice three bedroom, two bathroom home with a screened-in porch is nestled around numerous shade trees. 115.92 +/- Acres located on County Road 217 in Mills County. This is a nice combination property that has a lot of possibilities. The property consists of open areas, with areas of good cover. The cactus was sprayed this year and starting to show signs of the treatment. There are a nice shed and working pens located at the front of the property near the power line and water well. Texas sized, this gorgeous, very spacious 4,622 Sq ft home has enough room for you, your kids, your parents and even grandma. Sits on 2 acres in a prestigious neighborhood, with a green house, shop with electricity and a very large fenced back yard. Open concept living, dining and kitchen, 4B, 3B, large study with beautiful shelving, large laundry room with plenty of cabinets, sink and ice maker. 3+-ac of Prime Commercial Property! 1,500 sqft Metal building with a porch which was as an office, with 750 sqft office space & 750 sqft shop with awnings down both sides. Four 25x60 metal mini storage buildings 48 units that stay about 98% rented year round. One 40x40 metal bldg with 7 roll-up doors, bath, and a retail counter, with awnings down 2 sides. 37.4 ACRES BROWN CO. WITH 4 BEDROOM 2.5 BATHS BUILT IN 2014 1625 SQFT. This place has it all!!! Here is a super clean and hard to come by place. This place has a newer home that is resting on top of a hill overlooking the property. The home is all custom built with high ceilings and big window views all around. 124 ACRES BROWN CO. HOUSE LOG CABIN!! GREAT HUNTING! 124 ACRES BROWN CO. HOUSE LOG CABIN!! GREAT HUNTING! Here is a great place you can come and enjoy. It is has a 3 bedroom 1 bath 1320 sqft log cabin set up and ready for you to come enjoy. There is a barn that you can use to store equipment or livestock in on the property. The land has a stock tank on it and in most covered in live oak trees and brush with mesquite. 50 ACRES ERATH CO. GREAT HUNTING WITH HOME! Here is a very nice property that is all set up and ready for you to come enjoy! The property has a 1680 sqft 3 bedroom 2 bath that is very nice and has large patio deck out back. There is also 70x30 workshop and carport that is new with concrete floors. The land is one of the best parts about the place. 47 ACRES BROWN CO. LAKE FRONT HUNTING! 47 ACRES BROWN CO. LAKE FRONT HUNTING! Here is a great place that you can build a new home on or just come enjoy this amazing property. The back side of the property is Lake Brownwood frontage for great views across the lake. This property includes a 2008 40×80’ shop with plumbing for a live quarters inside.